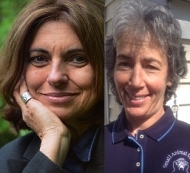 Cheryl Perreault and Lisa Breger join forces to provide workshops to feed the soul, challenge the mind and nurture the spirit. Lisa is a lifelong devotee to the craft of poetry and has over 20 years of teaching experience at the college level. Her training and interests are in transformative education, contemplative writing, and spiritual journaling. She is also a Certified Canine Massage Therapist and owner of Canine Massage Works.